Based on a remarkable report in today's Washington Post, it looks like Tiffany's doesn't have to worry too much that Newt Gingrich's detour back into the grubby world of electoral politics will put a crimp on his purchasing power. 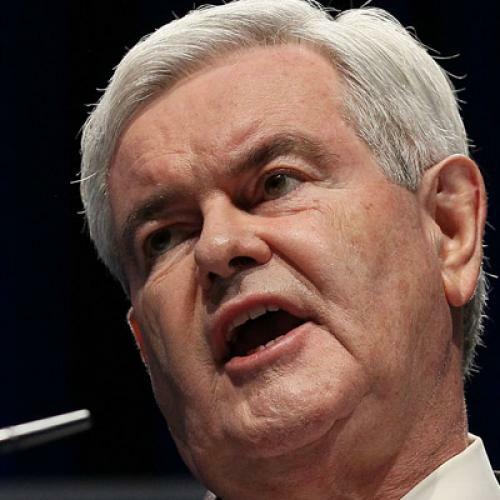 Dan Eggen, who's been dominating the coverage of Newt Inc., reports that amid the Gingrich campaign's mounting pile of debts, Newt managed to pay back one of them quickly: to himself. Gingrich "sold" to the campaign his personal mailing list for $42,000, and the campaign -- i.e., the campaign's supporters -- repaid that debt in the third quarter, though that payment was not disclosed as required. As Eggen drily notes: "The payment suggests that Gingrich was reimbursed ahead of other creditors for a list that he could have given to the campaign as an in-kind contribution." The former business associate of Gingrich’s, who was familiar with his finances, said Gingrich for at least two years insisted upon flying private charter jets everywhere he traveled, with most of the costs — ranging from $30,000 to $45,000 per trip — billed to American Solutions. Gingrich aides would scramble to come up with American Solutions-related events to justify the billing, even if the actual reason for the trip was something connected to his health-care think tank, book sales or other profit-making venture, this source said. The tab for private chauffeurs, primarily to ferry Gingrich and his wife, reached $200,000 to $300,000 per year, the source said. A final note: among the creditors that the campaign still owes lots to, I just noticed, is an outfit called Norway Hill Associates, which is owed $20,617. That's the consulting firm of David Carney, the New Hampshire strategist who started out with Newt in the spring but, once his campaign foundered, jumped over to oversee the campaign of his longtime client Rick Perry, only to see that campaign founder as well and return from Austin to New Hampshire last week. Here's guessing that Carney will be waiting a lot longer to get that bill paid than did the man who "sold" the voter list.